Google Adsense is a great advertising platform for earning money from blogging. Google Adsense is a blog monetization service by Google. Google Adsense provides a wide range of ad publishing tools. Most important they pay on time in your bank accounts with notification to your mail or contact number. Most bloggers opt for Google Adsense initially to become their own boss. There are lots of examples of bloggers those are earning well from Adsense. They are now full-time blogger from part time. How to get approved Google Adsense account? How to earn more from Google Adsense? What are the advantages and disadvantages of Google Adsense? What are the alternatives to Google Adsense? Let’s begin the learning tour. Adsense is a web monetization opportunity provided by Google. Google Adsense provides text, video, image and link ads formats for the promotion of their advertisers. Adsense provides their publishers all digital tools for earning money in US dollars. Adsense is click based earning money opportunity, means when user will click on your page ads then you will get the commission of that particular ad click. Adsense also provide commission on per thousand impressions. There is a lot more to tell you about Adsense, so read it till the end. Let me remove the curtains from working of Google Adsense. Do you know Google Adwords? Google Adwords is a pay per click advertising platform where advertisers bid and select budget for promoting their brand and their products. If advertiser bid $1 for the keyword for click then Google Adwords takes 32% of the click and give 68% revenue to the publisher if he/she is using ads for content. If the publisher is using the ad for search then Google takes 49% of revenue and give 51% share to publishers. Check the statement by Google over here on Adsense revenue sharing. The amount Google keep is used for maintenance of Adsense services. Lot’s of new bloggers reach out to me asking the popular question i.e. How to get approved Adsense account? My simple answer is to this most popular question is check your organic traffic first. If you are getting organic traffic of more than 1000 users in the month then you can earn and get your Adsense approved. Remember this checklist before sending the request to Google for Adsense approval. Submit your site to Google in webmaster. Submit XML Sitemap and robots.txt file to Google in webmaster. Check your blog owner details on who.is to Confirm that owner name should be same for an account from where you are sending the request. This is not critical but sometimes it requires. Check your duplicate pages or penalty if any. Resolve it ASAP. Add at least 25 unique and well-researched posts. Check your duplicate pages if any on Copyscape. Check your backlinks. Avoid low-quality backlinks. Don’t send back to back request to Google if one request gets rejected. Wait for at least one month. Go through Google Adsense program policies. Note: If you have followed these steps, but still not getting approval then comment in below box with your issue. Following tips will help you to earn more from Adsense. Write content on keywords which have high bid. Use text and media rich ads. Use fewer ads on the page because more you add Adsense code on the page more earning on per AD click will decrease. Use one AD above the fold which recommended by experts. Allow advertisers which have high bid on keywords like real estate, hotels, software ads etc..
Use newly matched content related Ads which is recently launched by Google. Read this post on it. Target countries where the currency is higher like USA, UK, Dubai etc..
Use new page level ads. This is the best mobile ads and highly clickable. Adsense provides great support and tools for publishing of ads to publishers. Adsense is click based US dollar earning platform. 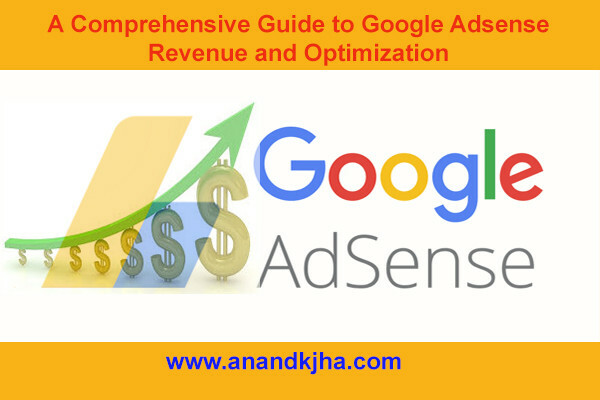 Google pays on time to your account through RTGS or NEFT etc..
Adsense provide tips and tricks to increase earning. Once Google found your website in any fraud clicking then it will immediately block your account and cancel your payments.They will never reply to your apology mail etc..
Adsense is a competitive monetization platform where earning money is not so quick. Adsense team analyze and check the complete account time to time and deduct earning if any wrong source found. Google Adsense gives payment on minimum $ 100. It requires PIN to verify your account which sometimes creates more hassle. These are some of the platforms where you can earn like Google Adsense. Google Adsense is a great platform to earn US dollars. It has lots of tools and services which give more opportunity to earn more. But you have to be honest with Google. Don’t do click fraud or multiple clicks by yourself. Google has very strict guidelines for click fraud. Stay safe and earn more from Google. 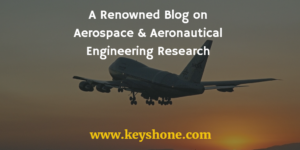 I hope you liked this post if so don’t forget to share it with your friends on social media.